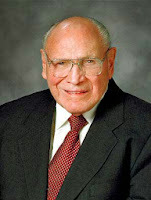 "At times we may be tempted to think the Savior is oblivious to our trials. In fact, the reverse is true; it is we who need to be awakened in our hearts to His teachings. "The gospel gives us that harbor of enduring safety and security. 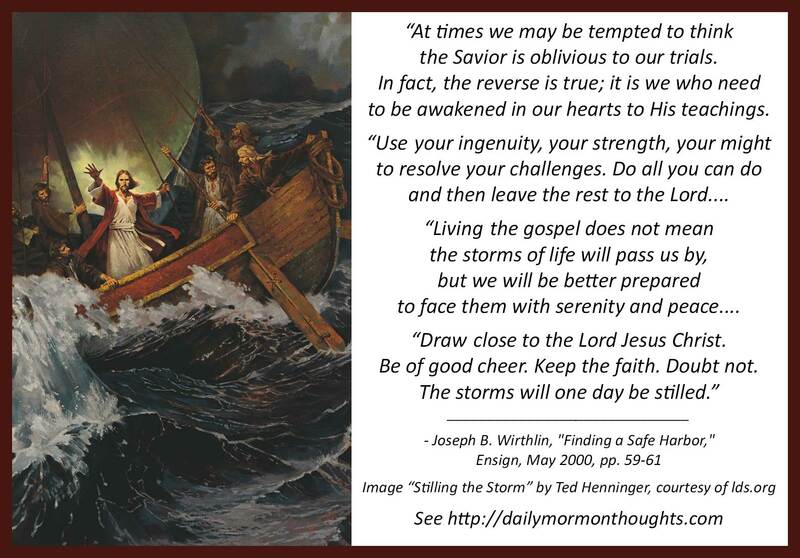 The living prophet and the apostles today are as lighthouses in the storm. Steer towards the light of the restored gospel and the inspired teachings of those who represent the Lord on earth." The Master is always aware of the storms we occasionally pass through in life. He knows how they impact us; He knows how we struggle under the beating rains and howling winds. And He is prepared to not only calm the storm, but support us through the storm while we learn from the experience. He is never "oblivious to our trials." But we may be oblivious to His love and care that are constantly expressed. Elder Wirthlin's reminder is to focus on the Savior's teachings when the storms come. We must use all our resources to control and survive the storm; but then, as we turn to Him in faith, obedience, and trust, "the storms will one day be stilled." The Savior's eternal reassurance is, "I will not leave you comfortless: I will come to you." (John 14:18.) As we focus on the lighthouses He has provided for us, we will find the safe and peaceful harbor. Labels: challenges, comfort, Gospel, Jesus Christ, peace, Savior, security, trials, Wirthlin Joseph B.